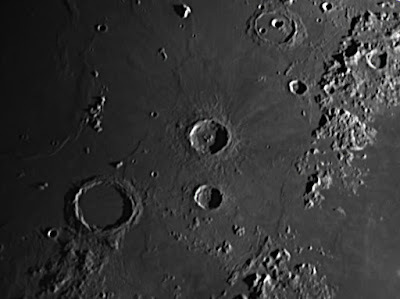 Celestron 9.25 SCT AVX, ASI120MC-S camera, 10000 frames captured in Sharpcap2 at 126 fps, 5000 aligned and stacked in AutoStakkert!2, wavelets in Registax 6, cropped and re-saved in Adobe Elements 11. Celestron 9.25 SCT AVX, ASI120MC-S camera, 5000 frames captured in Sharpcap2, 30% aligned and stacked in AutoStakkert!2, Wavelets in Registax6, cropped and resaved in Adobe Elements 11. 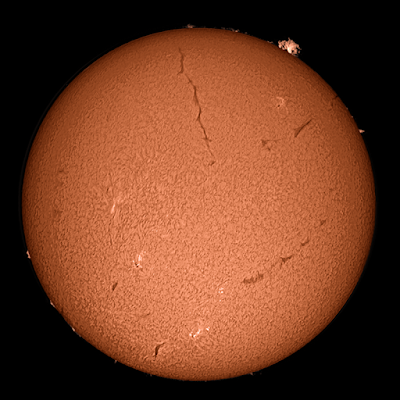 Note the large prominence and the huge filament almost half the diameter of the solar disk. 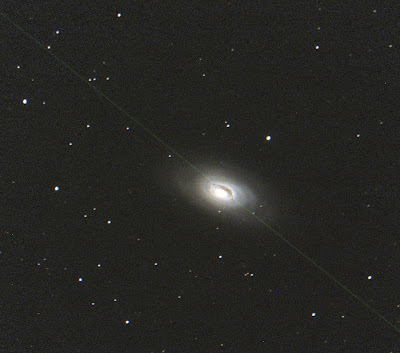 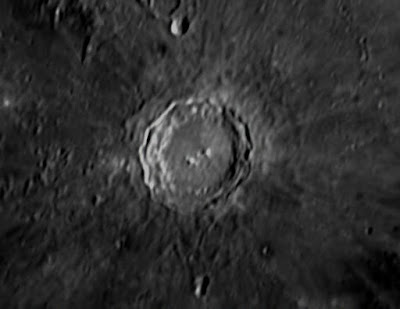 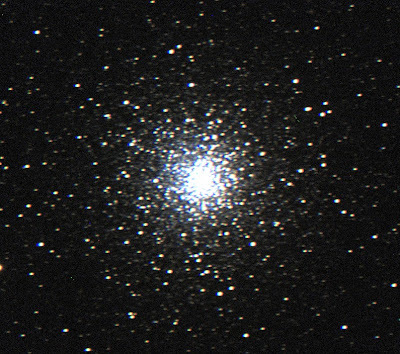 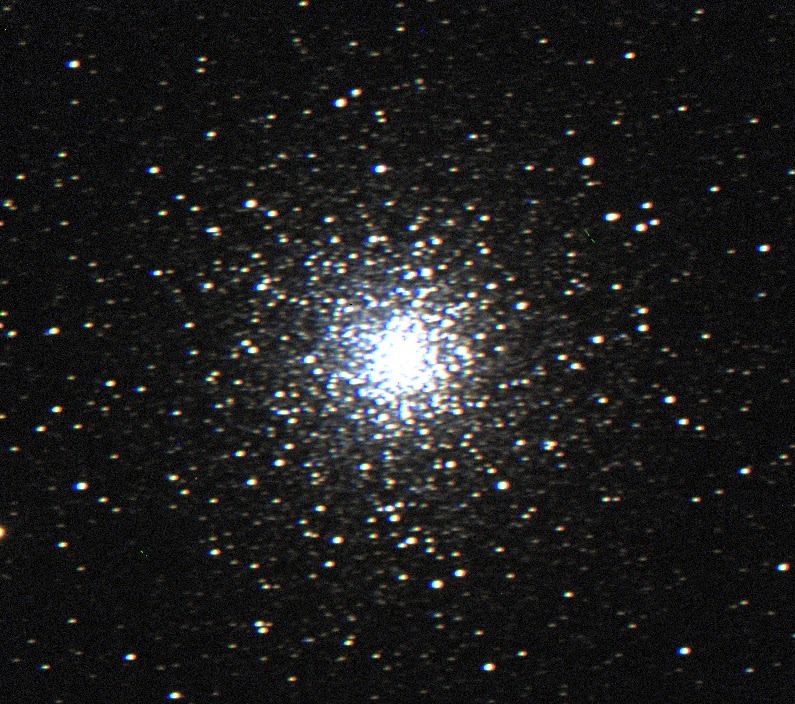 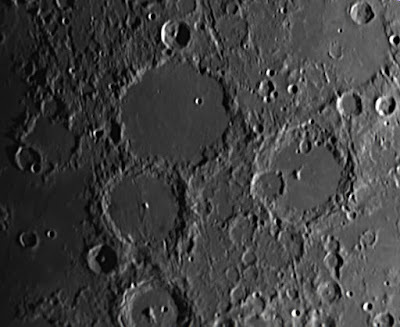 Celestron 9.25 SCT AVX, 2xTelevue Barlow, ASI120MC-S camera, 1501 images captured with Sharpcap2 at 8fps, 125ms exposure, 50% aligned and stacked in AutoStakkert!2, wavelets in Registax6. 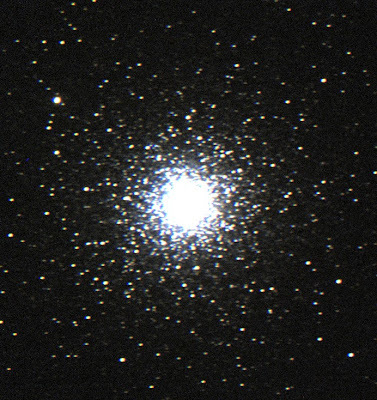 Saturn is at opposition and the ring-brightening Seeliger effect can be seen. 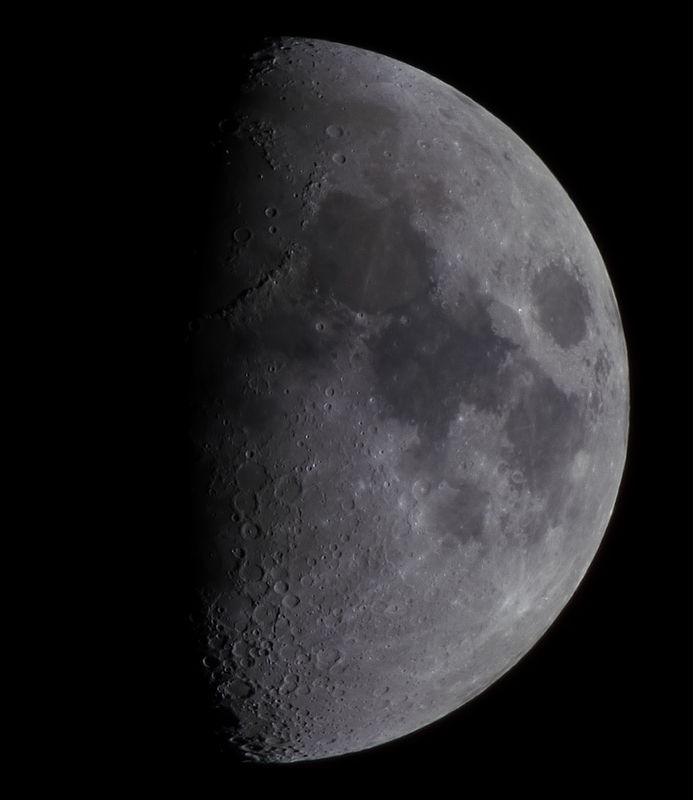 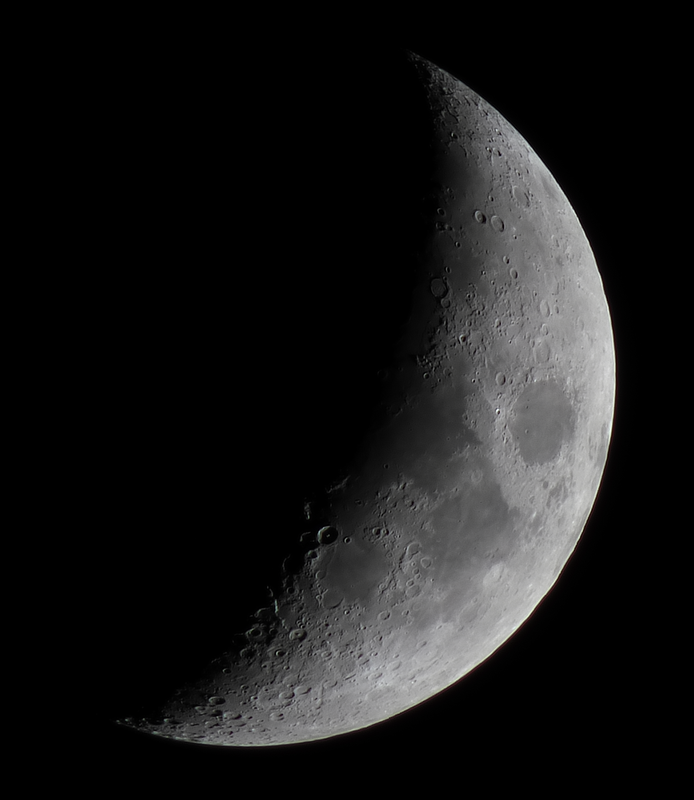 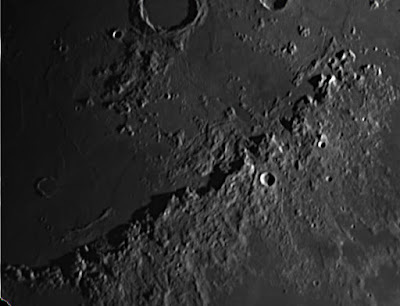 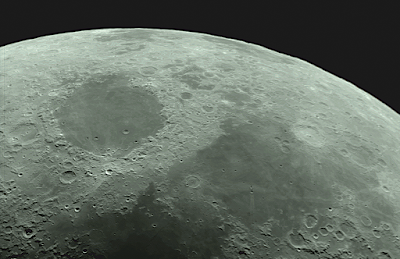 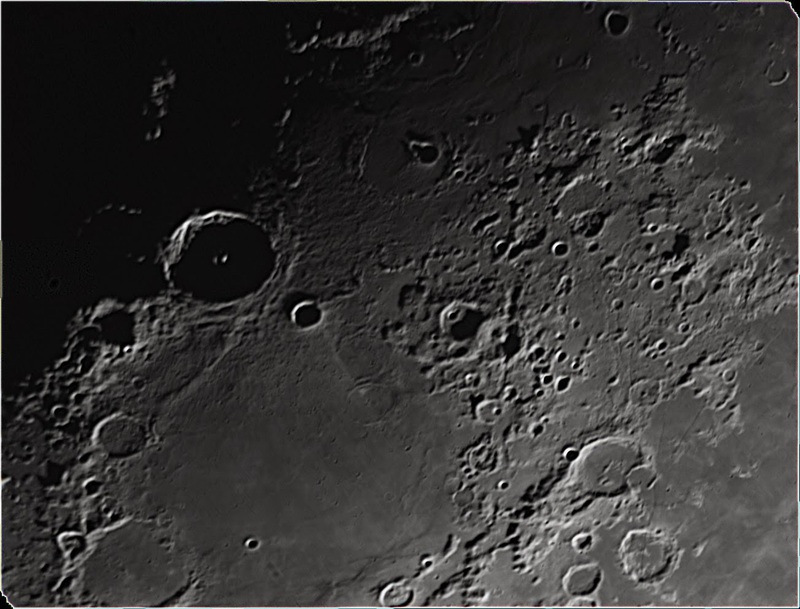 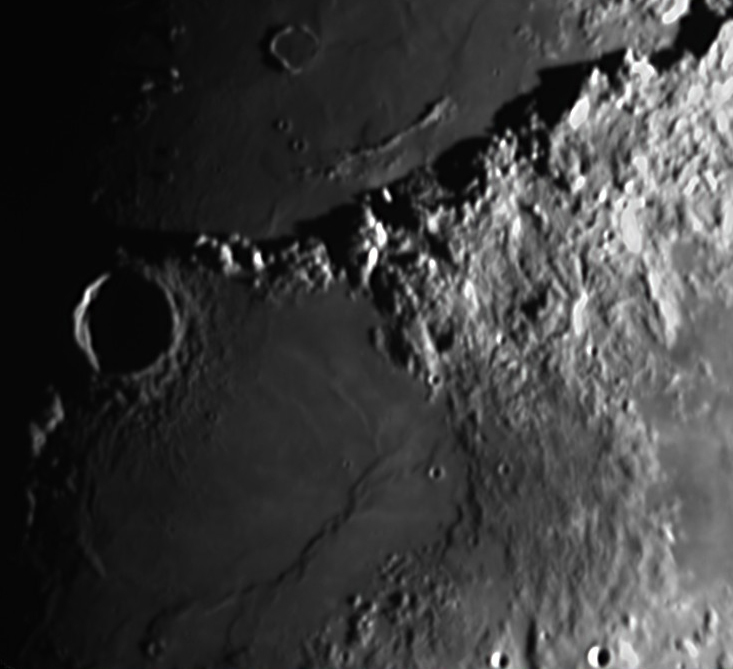 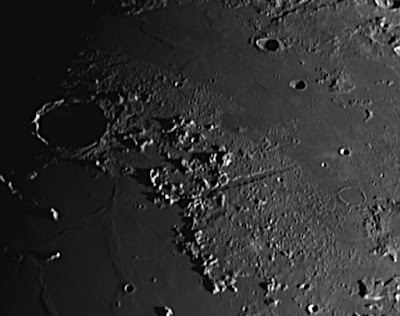 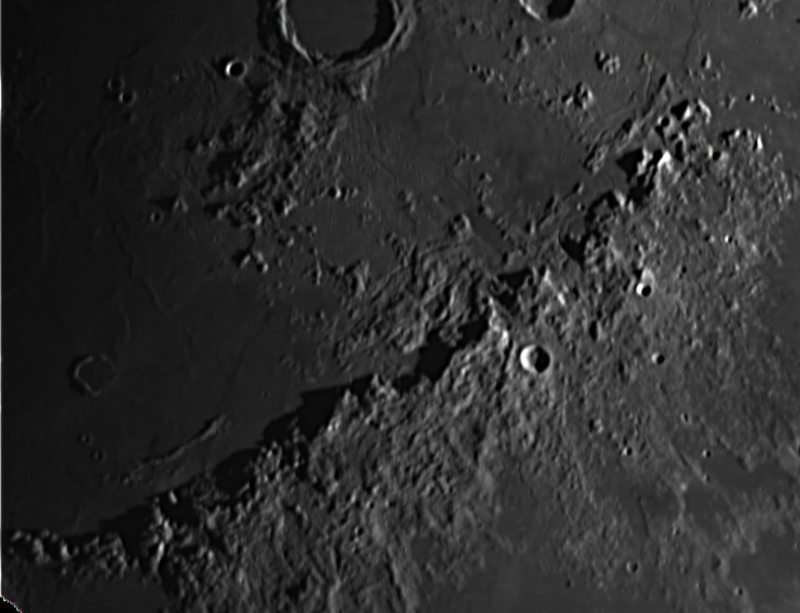 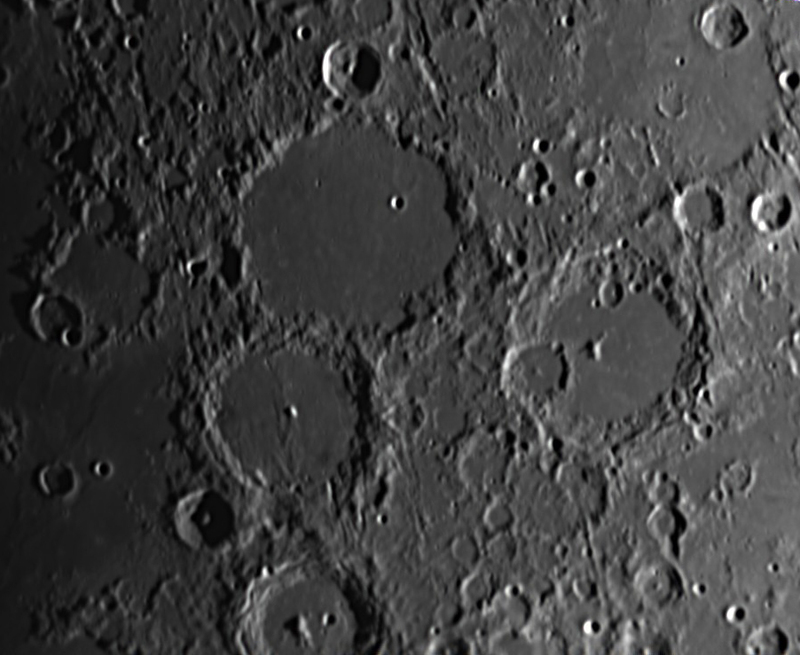 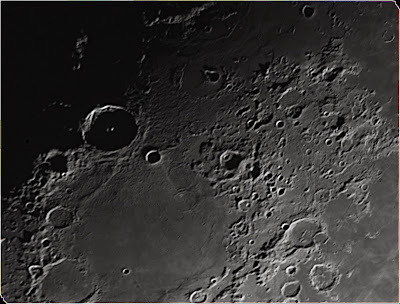 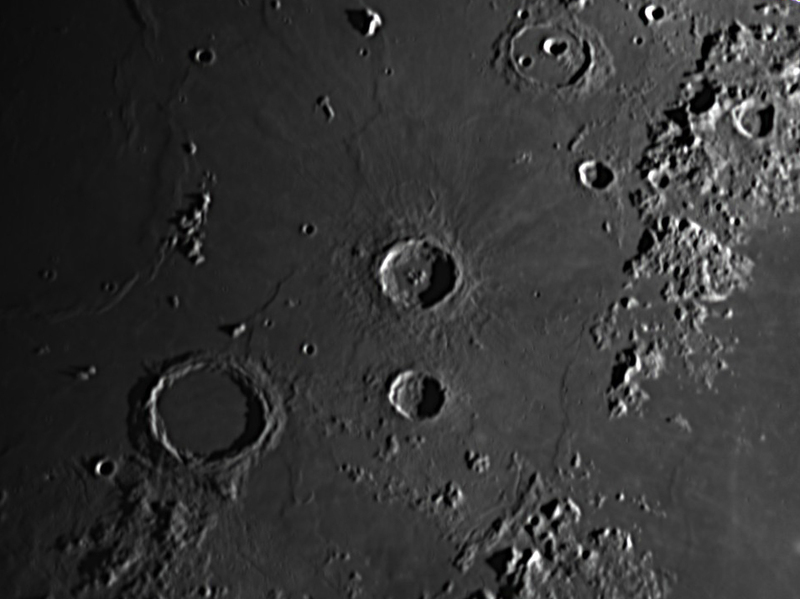 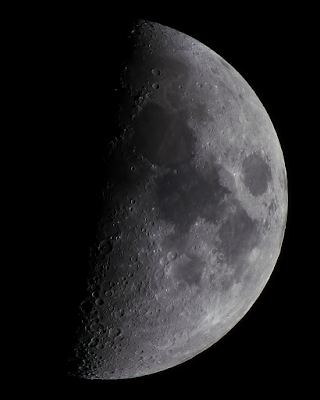 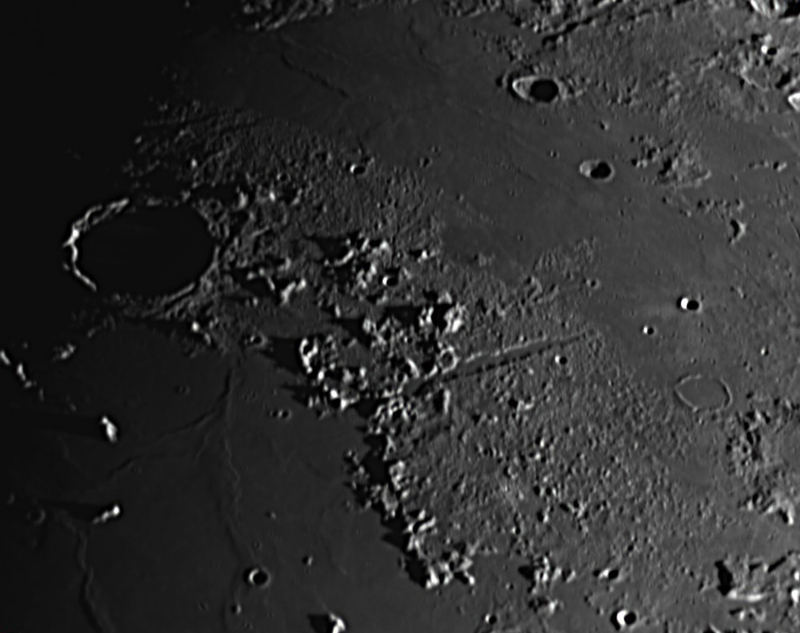 32% waxing Moon, Mare Nectaris, light capturing the central peaks of Theophilus, Madler crater to the right.